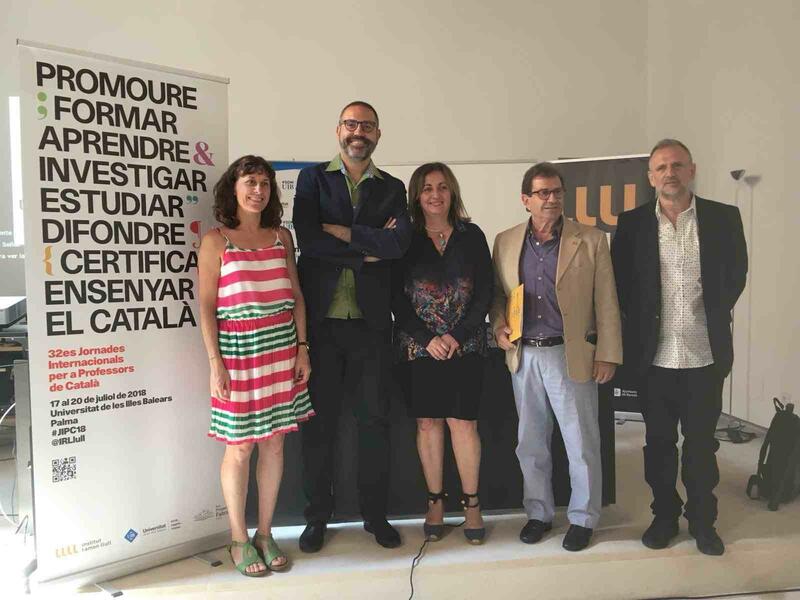 The University of the Balearic Islands will host, from 17 to 20 July, the International Conference for Catalan Teachers, which is organised yearly by the Institut Ramon Llull. This year will be the 32nd edition. The Conference is held in collaboration with the University of the Balearic Islands and the Department of Participation, Culture and Sports of the Government of the Balearic Islands. The International Conference for Catalan Teachers is the leading training space for teachers belonging to the University Network of Catalan Studies Abroad. It’s also a meeting point that fosters debate and reflection with the aim of improving teaching quality and furthering innovation. This year, eighty teachers from universities in more than twenty different countries will be participating, from Montreal to Brno, Los Angeles, Mexico City, Helsinki, Havana or Berlin, among others. The Institut Ramon Llull provides support to more than 150 centres teaching Catalan around the globe, and has agreements with these universities to promote the study of Catalan language and culture. The opening session will take place on Tuesday, 17 July at 3:30 PM, in the assembly hall of the Parliament of the Balearic Islands. It will be presented by Fanny Tur, the Minister for Culture, Participation and Sports of the Government of the Balearic Islands; Llorenç Huguet, dean of the University of the Balearic Islands; Francesc Xavier Grau, the secretary for Universities and Research of the Government of Catalonia; and Manuel Forcano, director of the Institut Ramon Llull. The opening lecture, titled “Majorca in the 1960s: between accelerated denationalisation and committed self-affirmation”, will be given by Damià Pons, who has a PhD in Catalan Language from the University of Barcelona and teaches contemporary Catalan literature at the University of the Balearic Islands. Pons will discuss the demographic, economic, social, linguistic and cultural transformations that Majorca underwent throughout the sixties. On Wednesday 18 July, a workshop will be held on the subject of new Catalan Grammar (2016) and new Catalan Spelling (2017), published by the Institute for Catalan studies. Professors Jordi Ginebra (Rovira i Virgili University), Rosa Estopà (Pompeu Fabra University) and Joan-Rafael Ramos (University of Valencia) will expound the main updates in Catalan grammar and spelling. The following day, 19 July, Barbara Luczak, professor at the Adam Mickiewicz University in Poznan, will give the talk “Pedra de tartera, by Maria Barbal: an ‘easy’ book?” Luczak will highlight certain aspects of the novel that enable it to be seen as a perfectly conceived and executed piece of art, as it has been translated to more than ten languages. Throughout the four days of the Conference, teachers from the University Network of Catalan Studies Abroad will participate in the workshops organised both by the Network’s professors and by professors from other universities, with the aim of sharing resources and experiences on the subject of teaching Catalan language. There are also several cultural activities on the agenda. The University Network of Catalan Studies Abroad plays an essential role in terms of the international projection of Catalan culture in fields of utmost excellence, thus becoming a major vehicle for cultural diplomacy. In addition to ensuring the presence of Catalan language and culture in universities throughout the world, by means of research centres and visiting professorships at the very finest universities, the Network trains young professionals so they can contribute to the international projection of Catalan culture and facilitate cultural exchanges with strategic countries. 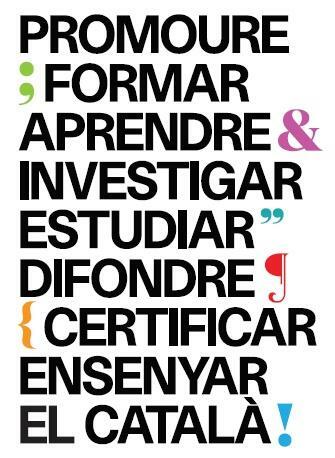 The University Network of Catalan Studies Abroad generates a great deal of value for all stakeholders involved: students, teachers, foreign universities, the university system and the societies in Catalan-speaking territories. Regarding the origins of the Llull Network’s professors, in the 2017-2018 academic year, 12% of the Network’s teachers were from the Balearic Islands. Throughout the year, the IRL’s Area of Language and Universities has scheduled a broad range of international initiatives in collaboration with the Balearic Islands. As part of the strategic line for increasing the visibility and prestige of studies and research in Catalan language and culture abroad, and thanks to the contribution from the Balearic Government, this academic year two new research spaces were created in European universities, devoted to Catalan studies. On the one hand, the Marià Villangómez Professorship in Catalan studies was created at the University of Leipzig (Germany). It will feature a visiting professor who will give classes to students taking undergraduate or masters degrees in socio-linguistics, applied linguistics and translation and interpreting. A yearly symposium will also be held. The Centre for Catalan studies at the Adam Mickiewicz University in Poznan, Poland, has also been set up. It will feature a conference devoted to the great female authors of the 20th century—among them, Carme Riera. The contribution made by the Balearic Government made it possible to offer the Balearic Island Studentship in Catalan Studies at the Queen Mary University in London—a PhD scholarship for a student having successfully completed a bachelor’s degree in Catalan studies. The IRL also promotes different training initiatives aimed at students outside the Catalan linguistic domain, so they can travel to Catalan-speaking territories and improve their knowledge of Catalan via a linguistic and cultural immersion. This year, two stays have been organised in the Balearic Islands. The first one was the third edition of the Cultural trip to Majorca for British students, held from 2 to 7 July. The second one will be a language stay in the Balearic Islands, which will take place in Minorca and Majorca from 2 to 14 September. Lastly, a series of academic and cultural activities were held at different universities. They contributed to increase the visibility and social presence and impact of Catalan language and culture abroad, as well as to create a conducive environment that stimulates research. Balearic writers and artists such as Biel Mesquida and Minorcan writer Ponç Pons participated in these activities.